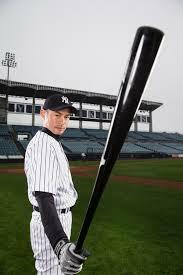 The big bat of Ichiro Suzuki. 15 years ago today Ichiro Suzuki signed his first contract with a MLB team in the Seattle Mariners.To give you a contract comparison, 1 day after the Miami Marlins signed Giancarlo Stanton to a record 13 year $325 million contract, (check back later for my opinion on that) Ichiro signed his first contract with the Mariners for 3 years and $14 million dollars. His manager was Lou Piniella and he was given Randy Johnson’s #51 to wear on his back. He is 166 hits shy of 3,000 hits in MLB. In his career with both MLB and NPB (Nippon Professional Baseball) he has played 3,155 games has an average of .328 1,961 runs, 686 stolen bases and 4,122 hits. This past year he played in over 140 games and recorded 102 hits. He can switch hit, pinch hit and pinch run. He has been remarkably durable, he has played 150 games or more in 12 of his 14 MLB seasons. His returns have been diminishing over the last few seasons, but he has also only made $6.5 million per season over the last 2 seasons with the New York Yankees. If I were a team I would sign him to a 2 year deal worth around $10 million and build a marketing campaign around him getting the 166 hits he needs to reach the 3,000 hit mark some time in year 2. Based upon that I could see him going to 3 different teams. 1 is going back home to Seattle, we all like to see a player go home and he would be well received. The other 2 teams are national league teams. Because in my mind he is more suited for a national league team being able to double switch, pinch hit and be a late inning defensive replacement. First, the San Francisco Giants. They have a void in left field and a huge Japanese contingency in San Francisco. And lastly, talk about building a marketing plan around Ichiro, why not the Cincinnati Reds. They have yet to employee a player from Japan on their major league roster, which would make for a nice narrative. But, how about on the night Ichiro breaks the 3,000 hit mark for his MLB career he is joined on the field by “The Hit King” Pete Rose.